Our second focus: We work with the system of in-depth Psychological Morphological Market Research – a very contemporary system to explain the fast changing, complex and contradictory phenomena underlying the consumer realities markets are confronted with. Morphology thinks and proceeds in terms of processes beyond the traditional subject object split, centering on the energetic tension fields and interactions between consumer, product and context as inseparable units as “reality”: An ever changing, multiple layer product of competing driving force, whether an illness and its treatment, a decision making process or product usage routines. It looks at the obvious and the behind-the-scene “production process” of people’s way of living, whether it’s living with an illness or living with products forming a specific way of life. A “production” which can be a more stable or more fragile entity – to the benefit or challenge of the companies and institutions engaged. Morphology preserves and transforms the full scope of reality into a holistic understanding of the governing functional mechanisms and impacts of products and specific living conditions. It assesses the imageries people develop around products and brands. It clarifies the subconscious and conscious motivational factors and perceptions in their impact on the research issue. It allows both to work scientifically grounded and to tangibly assess the concrete fabric and facts of our clients’ projects. Key benefit and leverage of the Morphology approach is its coherent and complete theory of psychological processes underpinning all single research concepts and projects. The hexagon is a psychological think system universally flexible to work out all dimensions relevant for analysis and objectives. Contradictions and tensions kindle life’s dynamics in general. Morphology works with tension pairs. 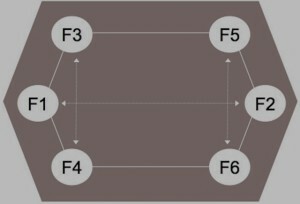 Overall, six factors establish the hexagon structure, grouped into three polar tension pairs. 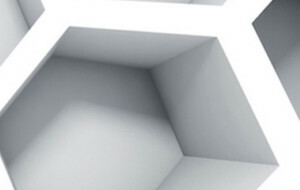 The six single factors present key topics and perspectives to explore and assess an issue and its’ functioning logic. While in reality all factors are present and interactive at once, the hexagon organization is a grid to develop holistically how the overall issue functions. From this it is like a psychological dynamic wheelwork explaining how the relevant factors interact. From its beginnings, its’ research activities on the psychology of daily life culture, products and media tied Morphology closely to business use. It is widely used by major national and international companies. This system was founded by Prof. Dr. Wilhelm Salber the Cologne University from the 60’s on and is one of the most universalist, all encompassing psychological system basically since Freud.